Baird’s Auto Parts has been family owned and operated since 1959. We have 27 acres of used auto parts which makes Baird’s Auto Parts Louisville’s largest Automotive Recycler. We have four warehouses where many parts, including engines and transmissions, are safely stored out of the weather. Our inventory is computerized with a Hollander Yard Management System and consists of over 150,000 used and new auto parts. 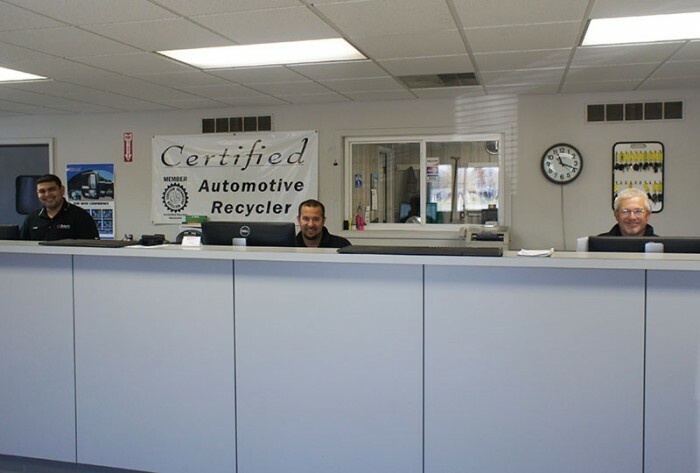 As an Automotive Recycler we take pride in preserving natural resources, protecting the environment, and saving our customers money. We are members of the Automotive Recyclers Association’s Gold Seal Program, and the Kentucky Auto and Truck Recyclers Association. We have an A+ rating with the Better Business Bureau so you can be sure your order will be handled by an experienced professional. If you can’t find what you need on our website, or just have a few questions, don’t hesitate to give us a call and a member of our sales staff will be glad to assist you.